The first solo art exhibition by CCC resident Kouichi Okamoto (kyouei design), “switch” was held at POLA MUSEUM ANNEX (Ginza, 2012 April 27 to June 3) curated by Hexaproject. 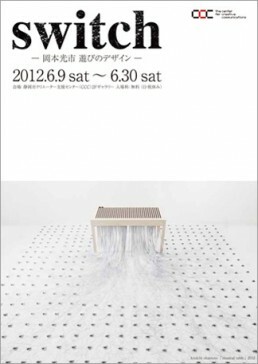 CCC will exhibit his “musical table” work from this exhibition. 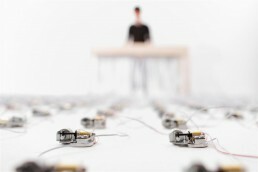 This latest work of Okamoto’s is made up of 504 of musical boxes which play delicate sounds in reaction to visitor movement. Music was the trigger for his creative career which then developed into product design as kyouei design. 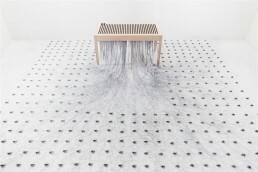 In this sense “musical table” has special meaning to Okamoto. 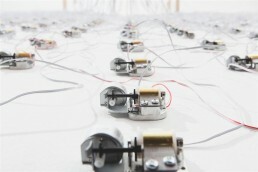 Afterwards, this exhibit will be shown at the Victoria & Albert Museum in London in September curated by Hexaproject. Don’t miss this chance to see a work which is gaining international attention. Cooperation : POLA ORBIS HOLDINGS INC.
Space design : Hexaproject Ltd.